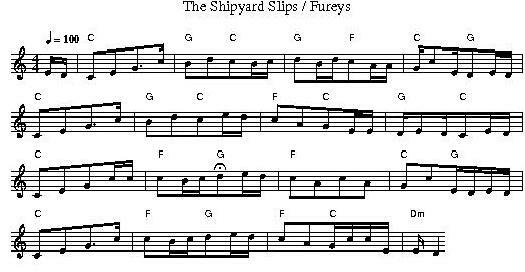 The Shipyard Slips Song Lyrics Guitar Chords And Sheet Music. Written by David Wilde who was a member of the group Men Of No Property. Recorded by The Furey Brothers And Davie Arthur on the album Morning on a distant shore 1977 polydor (men of no property) cop con. This song was sent to me by Patrick Burke. The guitar chords are in the sheet music. most of the songs and tunes for the group. and fine exponent of five string banjo. of great importance. Ted Furey did a great job.